We are hosting Steve's family for Thanksgiving again this year, so I starting working on the table setting yesterday. I decided to use all items that I already had on hand and as usual, wanted to keep it super simple. 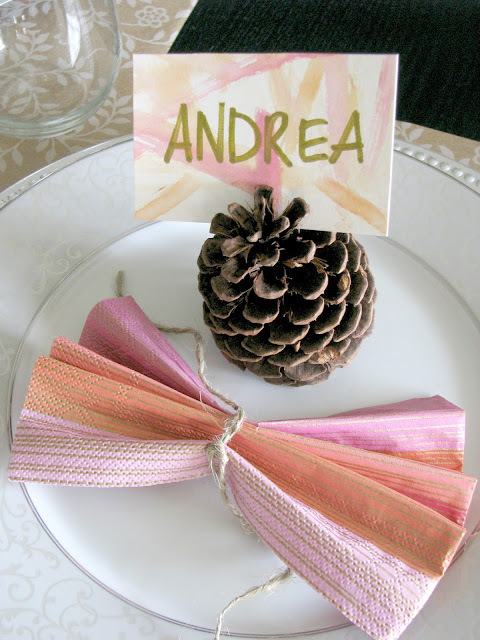 I will show you the finished table on Monday, but for now, I wanted to show you how I made place cards using pinecones and watercolors. 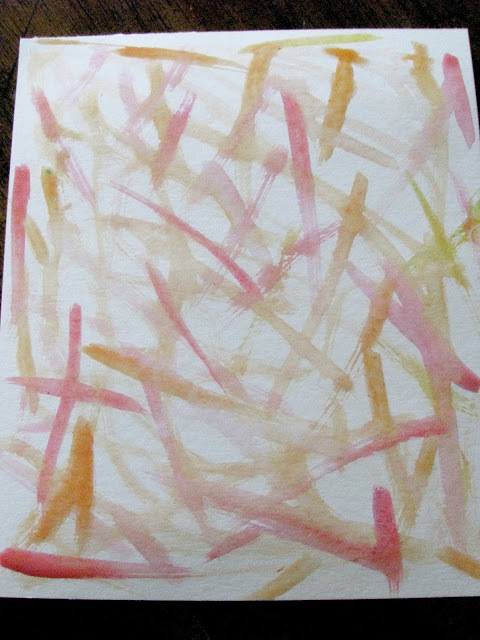 I am using paper napkins in orange, pink, and gold. 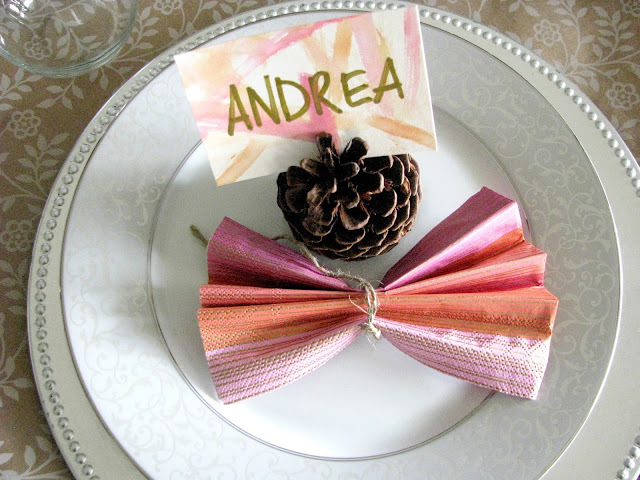 I decided pinecones were an easy choice to use again this year, and added some watercolor name cards to bring out the napkin colors. 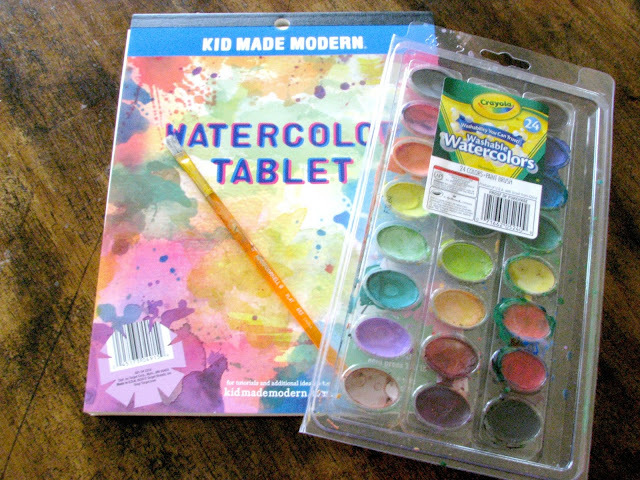 I used watercolor paper and paints and used simple brush strokes to create the cards. The names are written with a gold paint pen. This took about 5 minutes and I love the look of the watercolors. I accordion folded the napkins and tied them up with a little piece of twine.